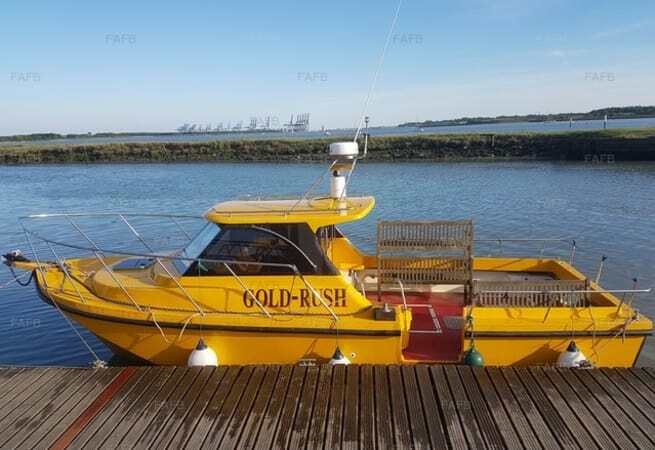 Gold Rush is an Offshore 2000 designed and moulded to stage one by Power Catamarans. She weighs 5.5 ton and is approx 32ft in length, 11ft Beam and has a trihedral hull which gives incredible stability, even in the worst beam on seas making it a fantastic platform to fish from. 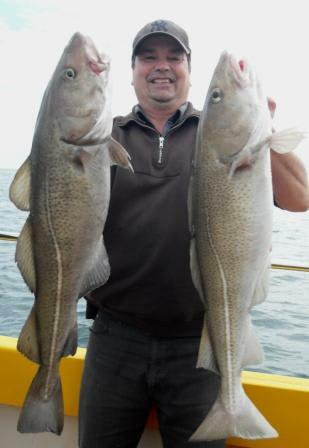 She is based out of Suffolk Yacht Harbour and is available for fishing trips. Prices start from £60.00 per person. 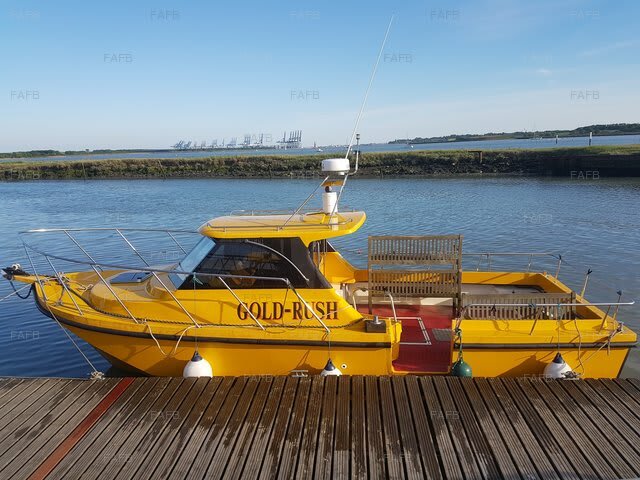 Please note Gold-rush is only a skippered vessel.